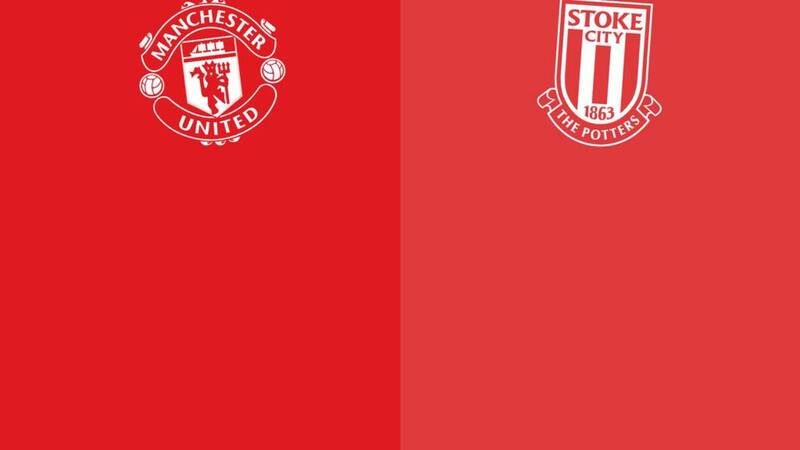 Manchester United get the three points with an excellent and much-needed win over Stoke at Old Trafford. They even managed to score two in the first half. Great scenes. This game petering out now. United heading for an impressive win. Juan Mata off, Andreas Pereira on. Three minutes to play. Loud cheers from the home fans - it must involve former Man City man Stephen Ireland. Yep, he's booked for a cynical foul and the United fans enjoy that one. Ryan Giggs is not alongside Louis van Gaal in the Manchester United dugout tonight. There have been rumours that he has resigned and is heading to Celtic. As BBC Scotland's Chris McLaughlin points out below, this is simply not true. United are adamant that Giggs's absence is because of a family illness. "Manchester United's Antony Martial was afforded a standing ovation as he went off - and he deserved every moment. "The 20-year-old is such an exciting prospect and has been a shaft of light amid the Old Trafford gloom this season." Memphis Depay, goalless in 11 games, clips a left-footed effort narrowly over. A hairy moment for Jack Butland, who has problems with a back pass. He can't pick it up and with Jesse Lingard racing in, the England goalkeeper uncomfortably uses his left boot to clear the ball in the nick of time. Nearly one for the bloopers reel there. Another substitution for Manchester United. Marouane Fellaini hooked, Ander Herrera into the action. A change for the hosts. Anthony Martial makes his way off with a standing ovation and on comes Memphis Depay in his place. Memphis Depay readying himself to come on for Manchester United. He was spotted out shopping yesterday, you know. Headline news on a slow transfer deadline day. Wayne Rooney sniffing again, smacking a shot narrowly over after being teed up by the impressive Anthony Martial, who will take home the champagne for a man-of-the-match performance. What's this about, or not about? Where's Giggs?Image caption: Where's Giggs? Peter Crouch nicks an effort narrowly wide from Erik Pieters' cross, but the tall Englishman was offside anyway. Probably the worst, most unentertaining 10 minute spell of football the home fans have seen this season. To their credit, Stoke are still pushing and Mark Arnautovic earns a corner. Ibrahim Afellay's inswinger is punched away by David de Gea, who is hoping to preserve a clean sheet. Former Man City midfielder Stephen Ireland trips Juan Mata and that's woken up the home supporters, who greet the challenge with loud jeers. Nothing much happening at the moment, neither side threatening, crowd are silent having accepted the three points. "This has been a feast to follow the famine for Manchester United's fans. They have revelled in watching their team take Stoke City apart tonight. "Stoke have been very poor - but this is a night giving Louis van Gaal and his side credit."